The headwaters of the Columbia River Basin in the Northern Rocky Mountains region is widely recognized as a stronghold for native fish, containing some of the last remaining connected cold-water habitats for species such as the threatened bull trout and native westslope cutthroat trout. However, as temperatures rise, non-native invasive fish species could be poised to prosper in the region as conditions start to favor warm-water species over those that require cooler waters to thrive. The spread of invasive fish species has the potential to devastate native fish populations, stream habitats, and the local cultures and economies that depend on healthy aquatic ecosystems – including the region’s multi-billion dollar outdoor recreation industry. Despite these concerns, our current understanding of how shifting climate conditions will impact future expansions of invasive fish is limited. Major questions concerning which species will prosper, where they will prosper, and what this will mean for resource management remain unanswered. 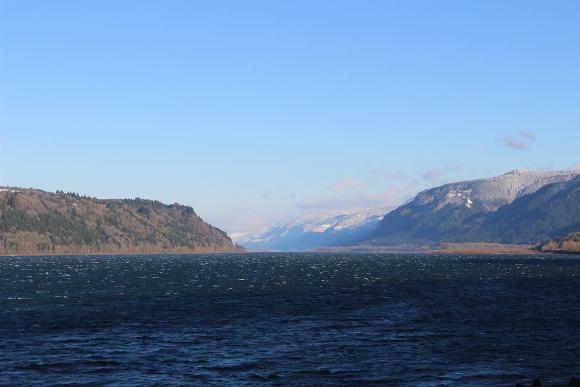 This uncertainty presents a significant challenge to managers working to conserve and restore at-risk species, and hampers strategic economic development in the Columbia River Basin. To address these limitations, researchers will use existing data collected by federal and tribal natural resource agencies to predict where five problematic invasive fish species – brook trout, brown trout, rainbow trout, smallmouth bass, and northern pike – will likely proliferate under future climate conditions and where they may impact native salmon and trout populations. Using this information, researchers will assess adaptation strategies that could help slow, stop, or prevent the establishment and spread of invasive fish, such as habitat restoration and active invasive species suppression. The results of this project will be made available through an interactive web visualization tool, providing fisheries managers and conservationists with accessible science on the risk of invasive species establishment, the vulnerability of native fish, and potential adaptation strategies. This effort will provide managers with critically needed information to help anticipate the future ecological and associated cultural and economic consequences of climate change on native fish and their habitats in the region.